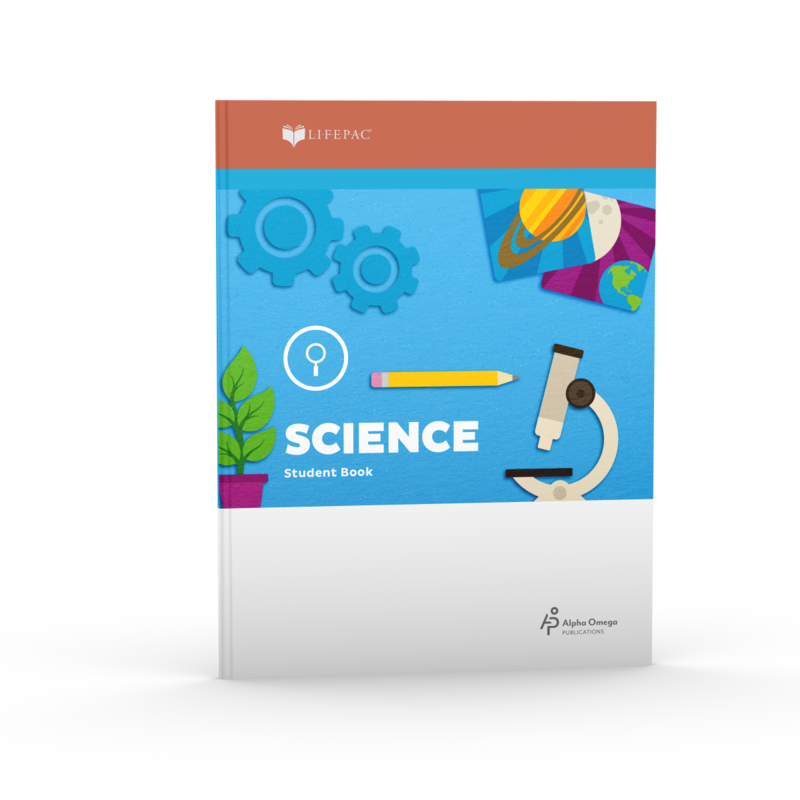 Want to teach your first grader science with the LIFEPAC unit worktexts—but don't need the teacher's guides? Then get the LIFEPAC 1st Grade Science 10-Unit Set! These ten consumable worktexts include science lessons for one full year. Each worktext in this Alpha Omega curriculum includes full-color lessons, self tests, and a removable teacher-administered test. LIFEPAC 1st Grade Science begins the process of teaching important principles of observation which will in turn assist children as they learn about the physical universe God created. Ten colorful worktexts in this Alpha Omega curriculum present lessons on the human body, the five senses, animals, plants, energy, health, machines, and God's beautiful world! Are you teaching your first grader science? Need a complete, step-by-step teacher's guide? Try the LIFEPAC 1st Grade Science Teacher's Guide Part 1! This easy-to-follow guide has an Alpha Omega curriculum overview, lesson planning, activities, worksheets, alternative tests, and more. Included are answers for lessons and tests in Units 1-5. Struggling teaching your first grader science? Need a step-by-step teacher's guide to help you along? Try the LIFEPAC 1st Grade Science Teacher's Guide Part 2! This easy-to-follow guide has an Alpha Omega curriculum overview, lesson planning, activities, alternate tests and worksheets, and more. Included are answers for lessons and tests in Units 6-10. Are you ready to teach your first grader science? Try the LIFEPAC 1st Grade Science Unit 1 Worktext! This colorful, consumable Alpha Omega curriculum will help introduce your homeschool student to science through the sense of sight. Teaching your child to use his eyes, three lessons teach topics like colors, shapes, and sizes of objects. Tests are included. Is your first grader ready to review the wonderful world of science? Then get the LIFEPAC 1st Grade Science Unit 10 Worktext! This bright, consumable Alpha Omega curriculum will help solidify lessons learned throughout the year. Three lessons review scientific topics like senses, using the mind, and caring for the world. Tests are included. Does your first grader know his sounds? Using the LIFEPAC 1st Grade Science Unit 2 Worktext, he will! This bright, consumable Alpha Omega curriculum will introduce your student to science through the sense of hearing. Teaching your child to use his ears, three lessons teach topics like different sounds, using voices, and more. Tests are included. Does your first grader understand taste and smell? Using the LIFEPAC 1st Grade Science Unit 3 Worktext, he will! This full-color, consumable Alpha Omega curriculum will introduce your student to different senses. Three science-based lessons teach topics like smelling, tasting, feeling, and how senses send messages to the brain. Tests are included. Want to teach your first grader about animals? Then try the LIFEPAC 1st Grade Science Unit 4 Worktext! This colorful, consumable Alpha Omega curriculum will help introduce your student to different animals, what they eat, and how to take care of them. Three lessons teach topics on wild animals, farm animals, and pet animals. Tests are included. Does your first grader know how important plants are? Using the LIFEPAC 1st Grade Science Unit 5 Worktext, he will! This bright, consumable Alpha Omega curriculum will help introduce your student to different plants in nature, on the farm, and at home. Three lessons teach about plant varieties, vegetables, fruits, and more. Tests are included. Teaching your first grader healthy habits is easy with the LIFEPAC 1st Grade Science Unit 6 Worktext! Get this full-color, consumable Alpha Omega curriculum which will help introduce your young learner to important wellness topics like proper eating, sleeping, exercising, and more. Three fun-filled lessons are included, along with tests. Discover God's wonderful world with the LIFEPAC 1st Grade Science Unit 7 Worktext! This full-color, consumable Alpha Omega curriculum will introduce your student to God's amazing creation. Scientific topics included are land topography, water systems, weather, and more. Three fun-to-do lessons are included along with tests. Does your first grader understand energy? Using the LIFEPAC 1st Grade Science Unit 8 Worktext, he will! This full-color, consumable Alpha Omega curriculum will introduce your student to energy sources and uses. Scientific topics included are God's energy, fuel and electricity, and more. Three easy-to-follow lessons are included along with tests. Introduce your first grader to the world of machines with the LIFEPAC 1st Grade Science Unit 9 Worktext! This full-color, consumable booklet is made to help teach fundamental mechanical processes. Scientific topics in this Alpha Omega curriculum include levers, wheels, gears, planes, and more. Three clear, step-by-step lessons are included along with tests. 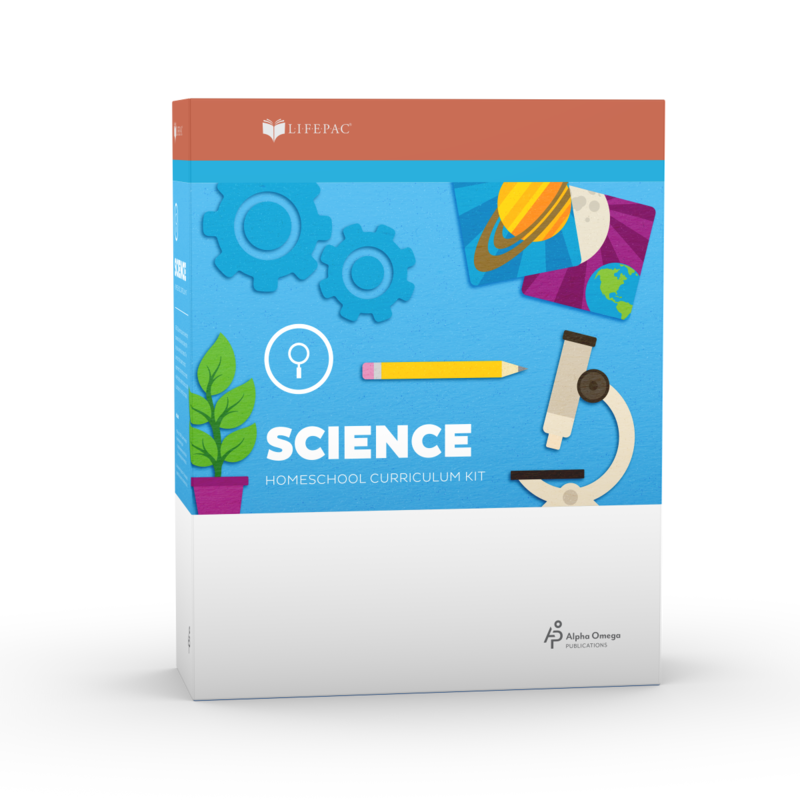 Find the science equipment and materials needed to complete the lab content in the LIFEPAC 2nd Grade Science curriculum with this lab kit from Home Science Tools. 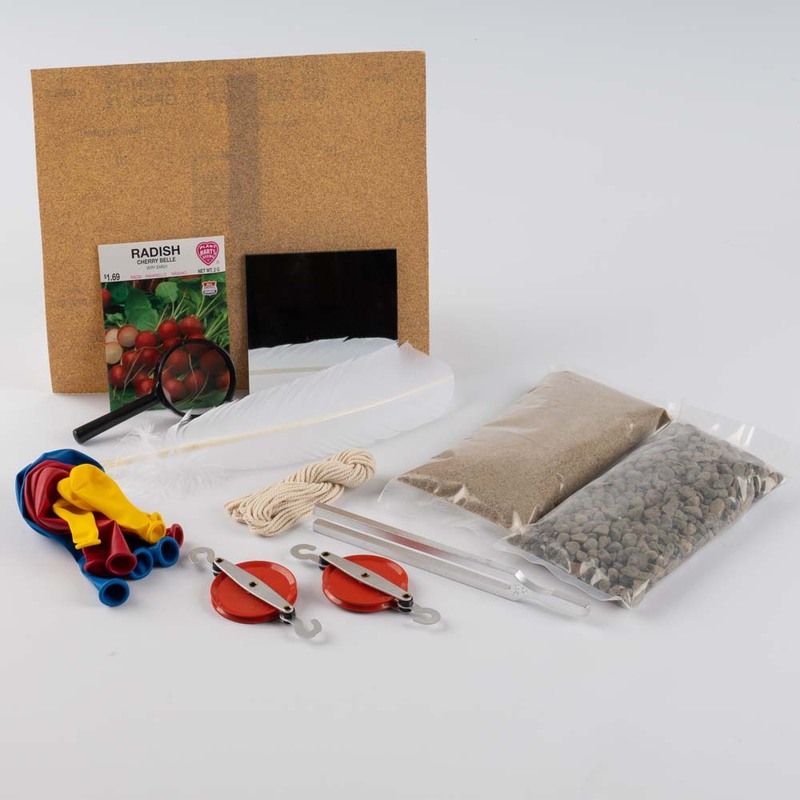 The most convenient way to get lab materials, this kit contains the eight most commonly ordered items for completing most activities in the science curriculum. 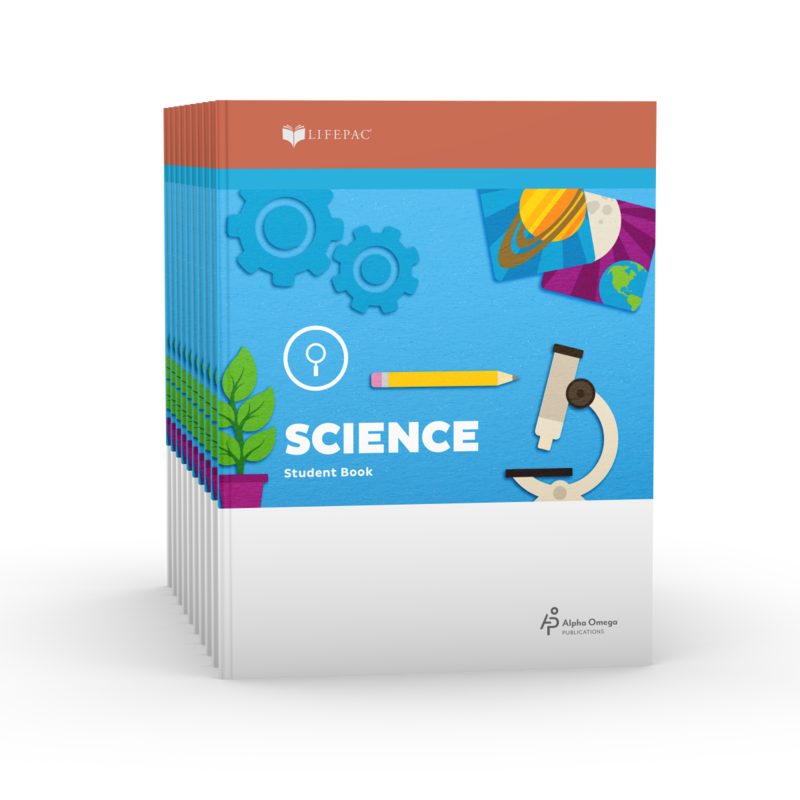 Ready to teach your second grader Science with the LIFEPAC program—but don't need the teacher's guide? Try the LIFEPAC 2nd Grade Science 10-Unit Set! These ten consumable worktexts provide creation-based science lessons for a whole year. Each worktext in this Alpha Omega curriculum includes full-color lessons, self tests, and a removable teacher-administered test. In the LIFEPAC 2nd Grade Science Set, your child will learn about God's creation in an engaging worktext format. This fun Alpha Omega curriculum stresses the development of observation skills through instruction in major science strands. Your child will learn about God-made and man-made objects, plant habitats, physical properties, and much more. Are you ready to start using LIFEPAC 2nd Grade Science with your child? Need a step-by-step teacher's guide? Try LIFEPAC 2nd Grade Science Teacher's Guide. This Alpha Omega curriculum guide offers a LIFEPAC curriculum overview, lesson objectives, and extra activities. Detailed teaching notes for each unit and complete answer keys are also included. The LIFEPAC 2nd Grade Science Unit 1 Worktext is a creation-based science workbook that will teach your child all about living and non-living things. Especially designed for young readers, this self-paced, colorful Alpha Omega curriculum, the first worktext in a ten-part homeschool science series, is just perfect for your second grade student. Especially designed for young readers, the LIFEPAC 2nd Grade Science Unit 10 Worktext is the last in a ten-part homeschool science series. This colorful, creation-based Alpha Omega curriculum worktext presents a review of the nine previous booklets which will captivate your second grader's interest and keep her asking for more! Specially designed for young readers, the LIFEPAC 2nd Grade Science Unit 2 Worktext will teach your child all about plants and plant life. Created to be completed at your student's pace, this colorful, creation-based worktext, the second in a ten-part homeschool science series, is just perfect for your young science student. The LIFEPAC 2nd Grade Science Unit 3 Worktext is a self-paced, colorful workbook packed with information about the animal world. Especially designed for young readers, this creation-based science worktext, the third in a ten-part homeschool curriculum series, is just perfect for your budding science student. The LIFEPAC 2nd Grade Science Unit 4 Worktext was designed for young readers. The fourth in a ten-part homeschool science series, this colorful, self-paced worktext will teach your child all about the science of people. Your young science student is going to love this creation-based science program from Alpha Omega Publications! The LIFEPAC 2nd Grade Science Unit 5 Worktext is a creation-based science workbook that will teach your child all about pet and plant care. Especially designed for young readers, this colorful worktext, the fifth in a ten-part homeschool science series, will captivate your second grader's interest and keep her asking for more!